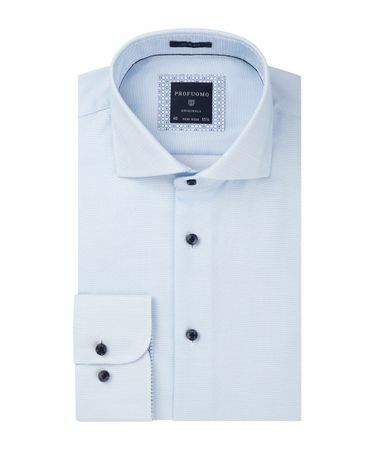 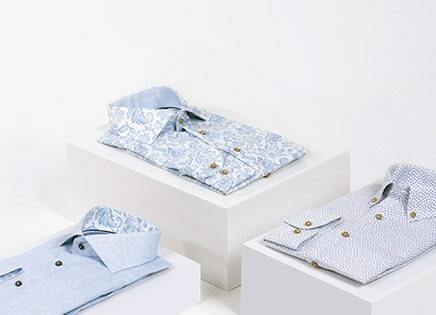 Profuomo creates exclusivity men’s shirts. 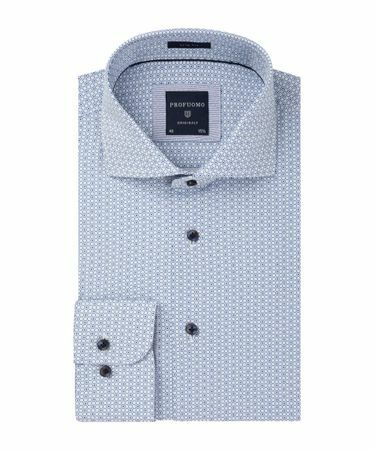 In our online store, you will find the most complete offer of our famous shirts in all sizes and shapes. 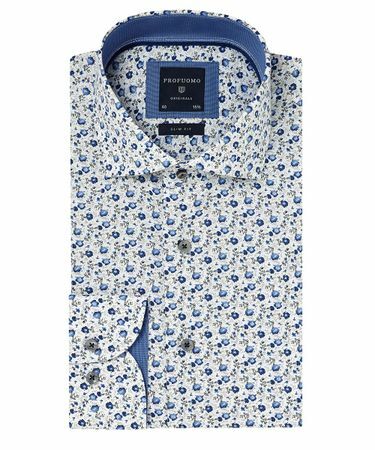 A Profuomo shirt is always designed with a great eye for detail. 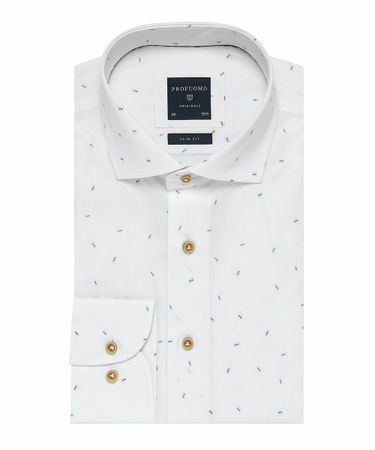 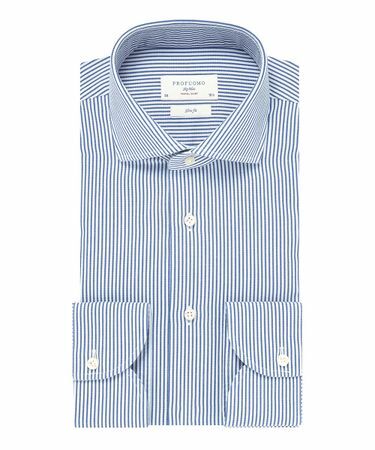 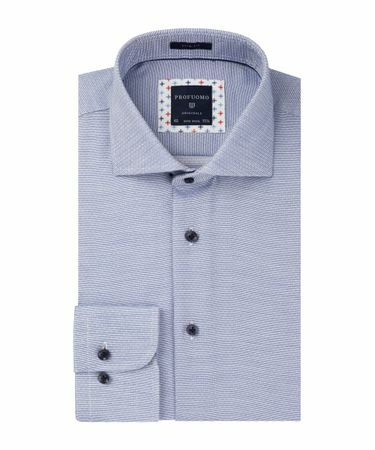 Whether it is formal or an informal or casual shirt. 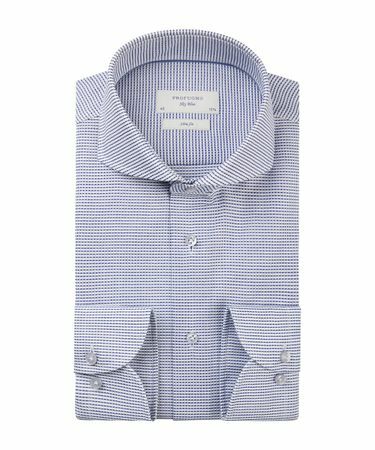 Profuomo shirts are available with the following collars: cutaway, extra cutaway, flip collar, kent, one piece collar, pointed collar, semi-spread, wing collar. 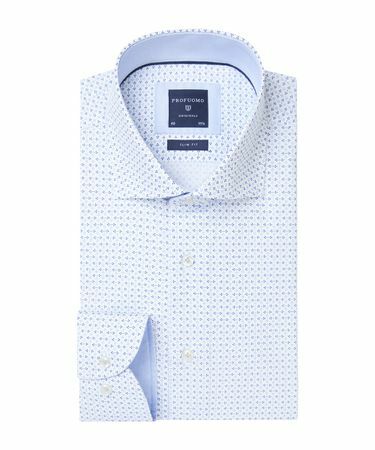 Before you buy a shirt online there are several things that you need to know. 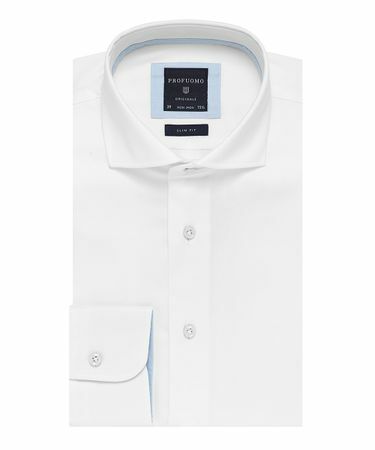 Your collar size, your fit and your preferences for the type of colour and cuffs. 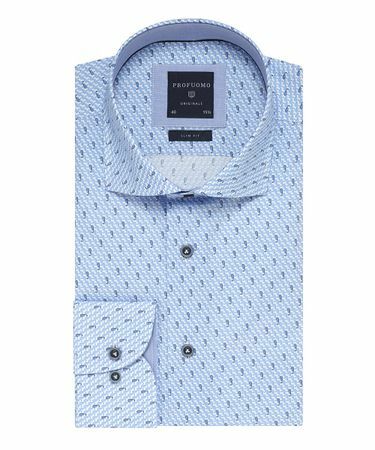 Profuomo offers regular fit also known as comfort fit or normal fit this is a loose fitting shirt that will also fit a larger man. 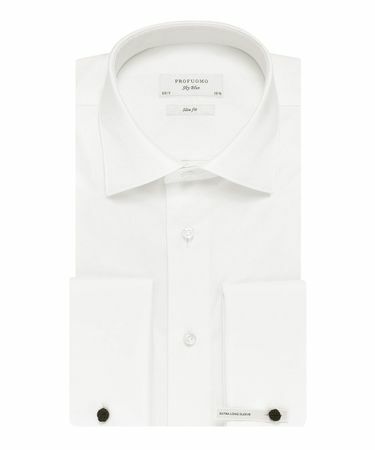 Or alternatively slim fit. 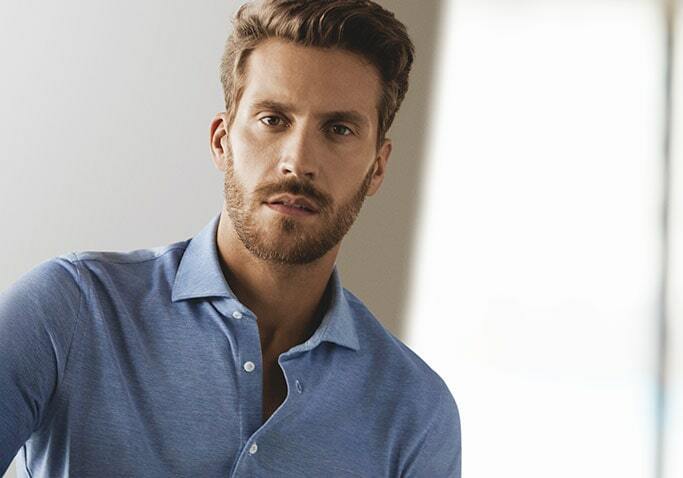 This is an elegant tighter fit but will also fit men who are not super-slim. 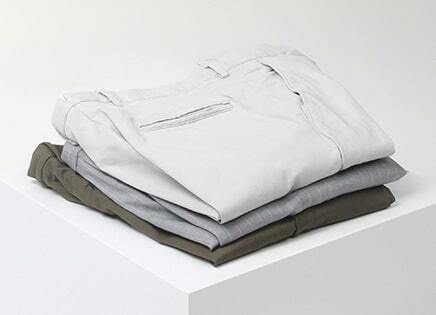 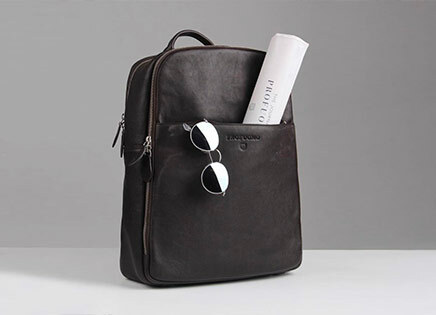 In addition to that, we carry a super slim fit for truly slim men. 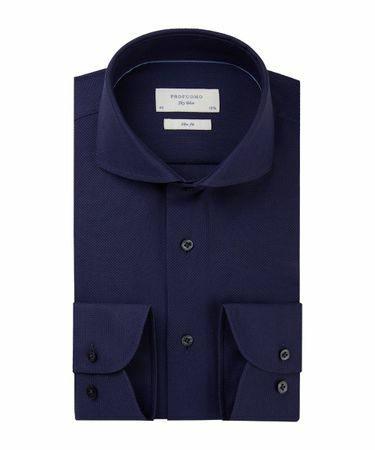 Non-iron shirts are extremely practical. 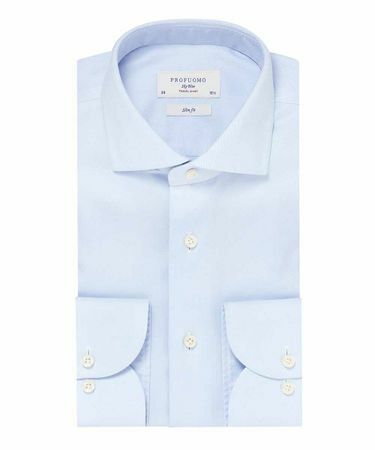 In principle, you don’t need to iron these shirts at all. 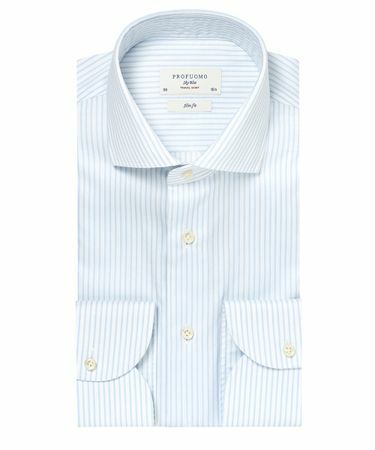 A perfectionist who chooses to iron them anyway will notice that they are very easy to get to perfection. 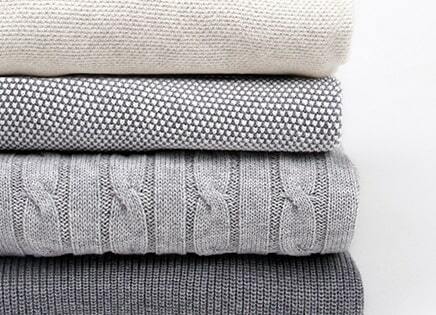 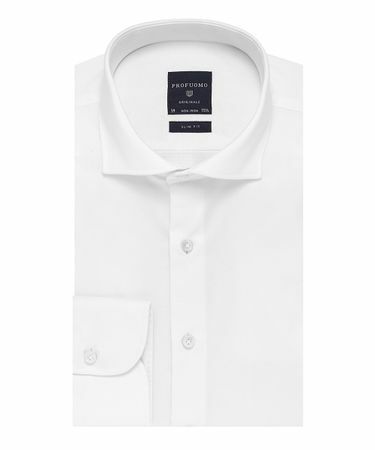 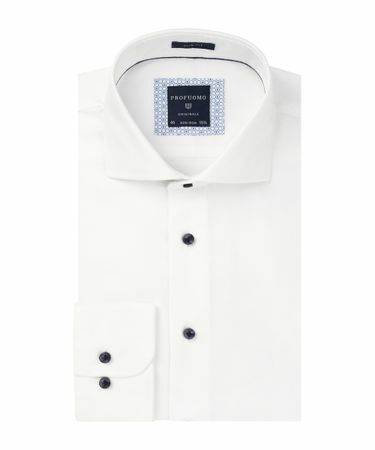 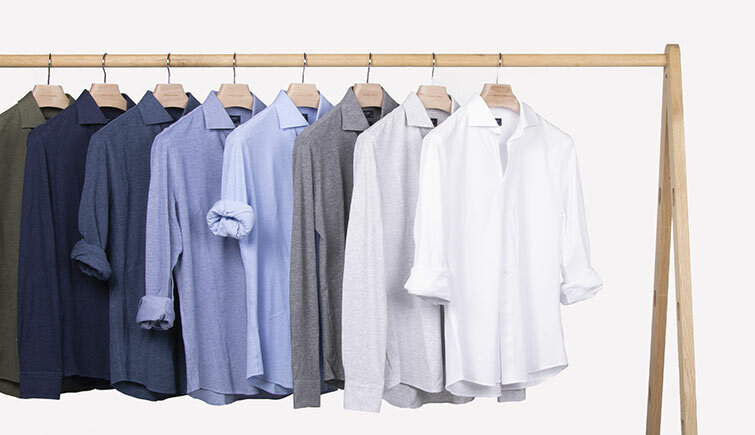 All the shirts in our Originale collection are Non-iron. 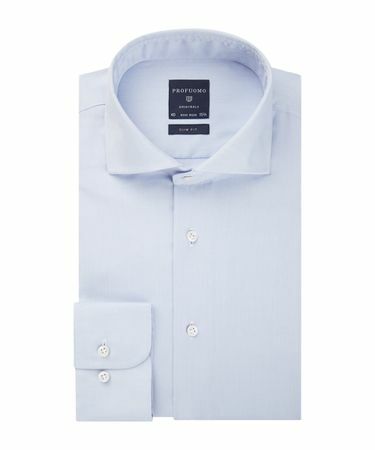 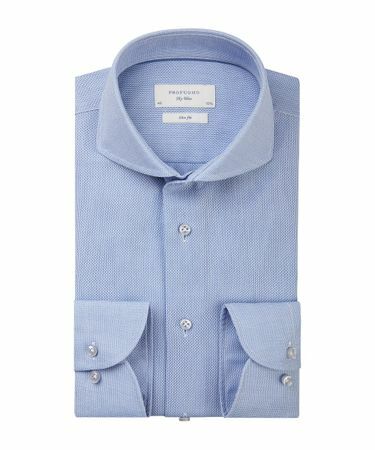 Our premium Sky Blue collection also has a shirt that is Non-iron, and then some: the Smart Shirt. 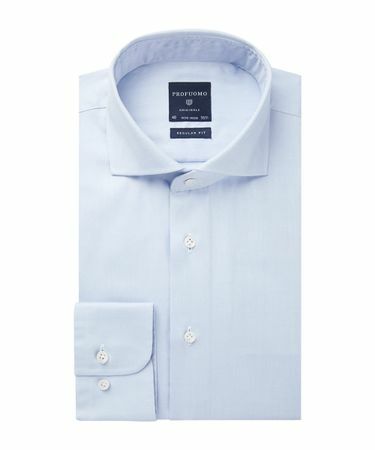 This shirt is not only Non-iron but is also amazingly crease resistant.